Hey Urban Housewives! Whether you’re starting a new job, attending a cocktail party, or are simply looking to stay up -to-date with current fashion trends (the website BIG W is a great place to pick up some of today’s top items , it’s always a good idea to be aware of the dress codes. Here is a little breakdown of some of the most commonly used dress code terms in the cosmopolitan city of Sydney! This is the most relaxed form of attire. However, if you’re invited to an event that suggests “casual” dress, there are still certain mistakes that you should avoid. For example, clothes that are torn or dirty are always a faux-pas, as are t-shirts or jumpers with offensive slogans or images. Clothes should fit well; avoid anything that’s too revealing or too big. You should be able to comfortably move around, bend over, and reach for items in your outfit without worrying about showing too much skin. Sandals are acceptable, but it’s best to stay away from flip-flops. Jeans, casual dresses, and button-up shirts are always a safe bet! Classier than casual but less formal than cocktail, business attire for women is generally patterned after business attire for men. “Professional Dress” business attire is the most conservative form of the work dress code, usually meaning dark or neutral colours. Dress trousers, skirts, and dresses (of the appropriate length, of course) are all acceptable. (Big W’s Women’s Skirts have a great variety of pieces acceptable for professional dress situations). A nice blouse is always recommended, and a matching jacket is a great addition. Shoes should be a neutral color (closed-toe, preferably), and no higher than 2 ½ inches in heel. If you work in finance, accounting, or any conservative industry, this is often the dress code that is followed. While it is more relaxed that the professional dress code, “business casual” is, by no means, the same thing as “casual”. Business casual is often used during interviews, social work events, or at a semi-conservative workplace. Shoes should be nice (avoid sandals), and a collared shirt is recommended. Neat khakis are often acceptable, as are dresses and skirts that are knee-length of longer. The cocktail dress code is standard at office parties or other social events. For women, it refers to short, elegant dresses. The classic cocktail dress is what is referred to in the fashion industry as the “LBD”, or “Little Black Dress”. The dress can be halter, strapless, one-shoulder, etc., but avoid anything too short; you should be able to bend down with ease. Consider dressing up your outfit with a piece of statement jewelry, such as a chunky necklace or chandelier earrings. (It’s best to stick to just one piece; big earrings and a bold necklace are a little too much). Shoe should be heels. This dress code is also sometimes called “after-five”, or “business formal”. It’s a common dress code for after-work events and evening weddings. Long dresses are not required, but your outfit should be tasteful and modest. A cocktail dress is appropriate for an event that asks for semi-formal dress, as is a tailored dressy suit. Avoid denim, jersey cotton, and leather. The hem of a semi-formal dress should fall between the knees and the ankle; anything longer might push it into the formal category. Also known as “black tie”, this is the dress code used at big events, or even a very formal wedding. 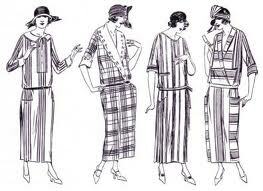 While men are to wear black tuxedos or dark suits, women are traditionally expected to wear floor-length gowns. (However, dresses that fall below the knees can also be acceptable at less-conservative black tie affairs). It’s recommended that hair be worn up, or partially up, and sparkly jewelry is always a good choice. Put away your everyday purse, and bring out the evening clutch. The most formal of the dress codes, “white-tie” asks that women only wear full-length gowns; dresses above the ankle are frowned upon. Evening dresses or ball gowns are the usual choice. Their hair should be styled and worn in an up-do. Depending on the events, bare shoulders should be avoided. It’s always a good idea to bring a shawl, just in case. White gloves are another common accessory at these events. White tie affairs are common for charity and society balls, or state dinners.